I HAVE BEEN USING YOUR PRODUCTS FOR OVER TEN YEARS NOW. 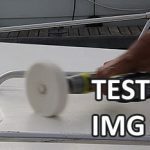 (BOAT SCRUB, BOAT CLEAN PLUS, AND SURE STEP) I FIRST LEARNED ABOUT THEM AT ONE OF THE BOAT SHOWS, AND HAVE BEEN COMPLETELY SATISFIED. I AM VERY PARTICULAR ABOUT MY BOAT, AND LOVE THE WAY IT MAKES THE NONSKID SHINE. MY BOAT IS A 2005, AND LOOKS LIKE THE DAY WE TOOK DELIVERY. Sure Step restores your faded gelcoat/boat deck to like new again and reduce your maintenance during boat detailing.